The city of Charlottesville is readying for the excitement of Monday night's NCAA championship basketball game between U. Va. and Texas Tech. "It's bigger than the Super Bowl," local reporter Hawes Spencer said. 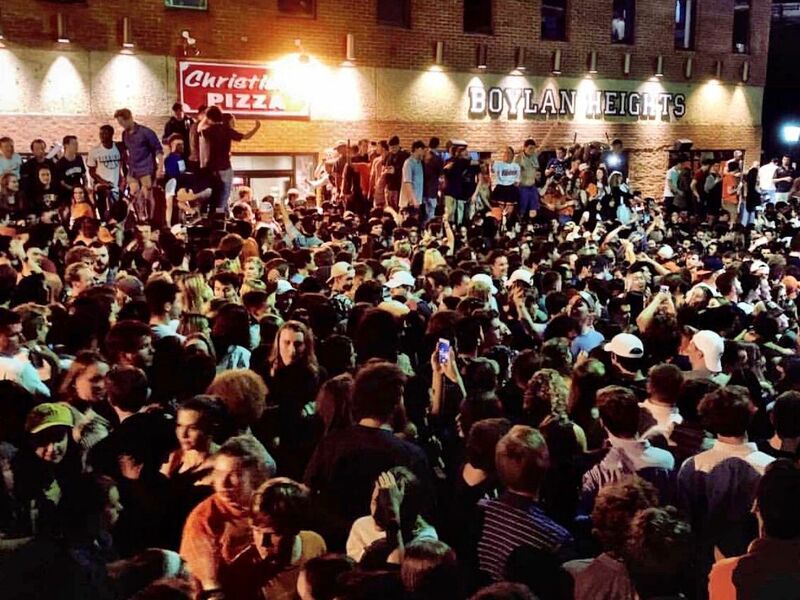 The city of Charlottesville is reveling in the excitement leading up to Monday night’s NCAA men’s basketball championship game between University of Virginia and Texas Tech. 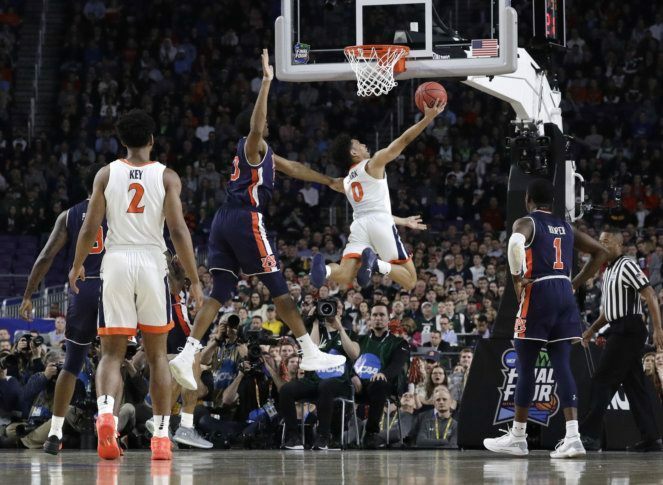 Virginia got to its first-even final game with a last split-second 63-62 victory over Auburn on Saturday night, prompting exuberant celebrations all over Charlottesville. Monday night’s game with Texas Tech, which got to the finals with a convincing win over Michigan State, begins at 9:20 p.m. It is being played in Minneapolis. The University of Virginia will host a viewing party at the John Paul Jones Arena. Doors will open at 8 p.m. Admission and parking are free. University officials say the clear bag policy and entry procedures used during games will be enforced. On Charlottesville’s Downtown Mall, the game will be broadcast at The Paramount Theater. Admission is free, but tickets are required for entry. Doors for the event will open at 7:30 p.m.
Charlottesville police expect to announce road closures and detours in the vicinity of The Corner.During Saturday’s excitement, Albemarle County and Charlottesville police said they did not make any game-related arrests. “And, of course, going back in history — not to get too dark here — but this is Charlottesville, where we had some really bad stuff happen a couple years ago,” referring to the Aug. 2017 Unite the Right white nationalist rally. Spencer’s book, “Summer of Hate: Charlottesville USA” focused on what led to the violent protest and counterprotest. “All of Charlottesville is just on the edge of its seat, watching this thing play out,” he said.